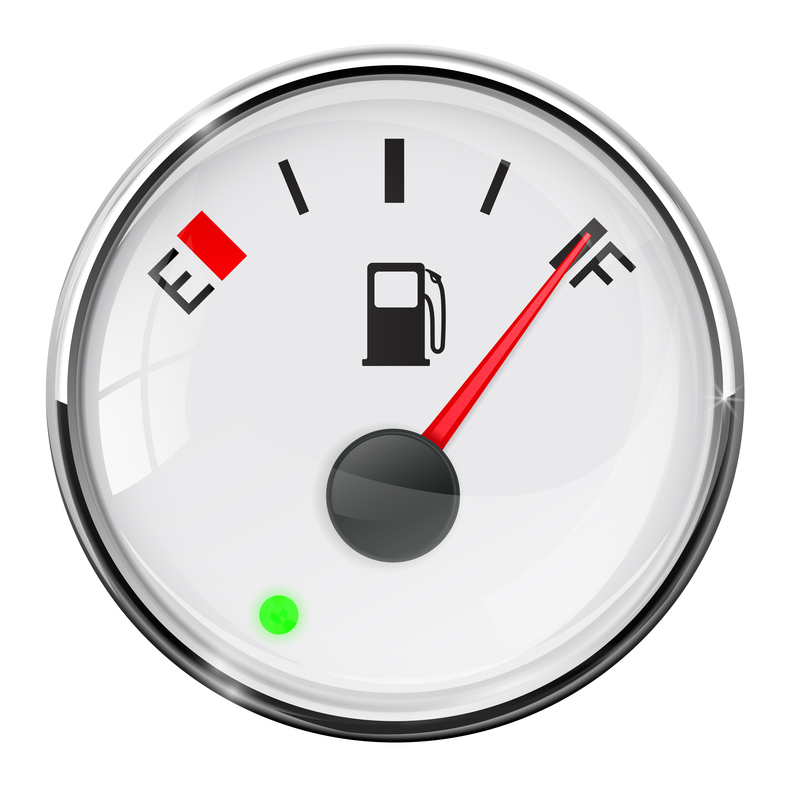 Diesel engines lose 1% of fuel efficiency for every 2% of added DPF loading above 50%.1,2 But the RED LIGHT doesn’t come on until 90% LOADING. A diesel engine loses 20% of its efficiency once the DPF is 50% loaded, until the 90% RED LIGHT comes on and the DPF is cleaned! SO WHY NOT CLEAN AT 50% LOADING INSTEAD OF 90% RED LIGHT LOADING? Because until now, no one could predict the optimal 50% DPF filter loading mileage. But Intelli-CleanTM has solved that problem! 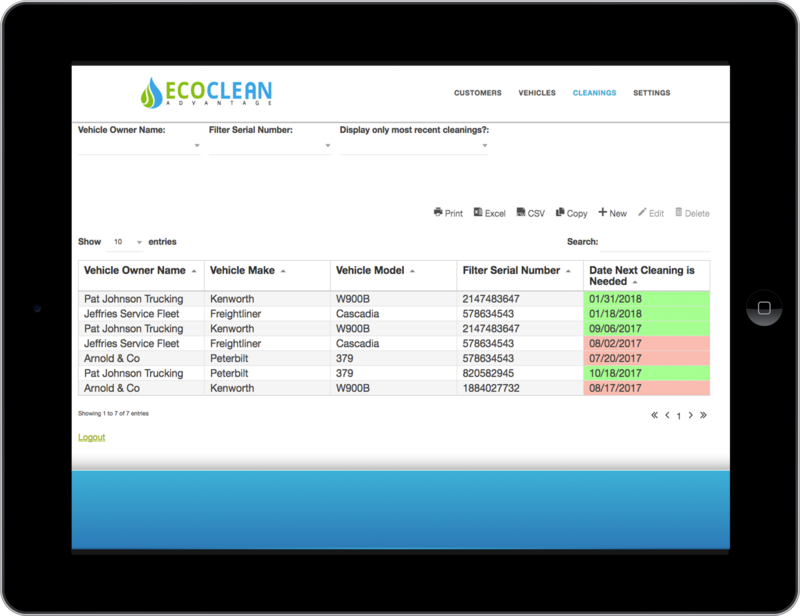 EcoClean’s predictive Intelli-CleanTM system tells you exactly when to clean your DPF to ensure maximum fuel economy. The Intelli-CleanTM algorithm tells you when your DPF will reach the 50% loading point, and automatically generates a cleaning reminder. Here is what it means for various types of trucks on an annual basis. The Intelli-CleanTM system is easy and intuitive to use. 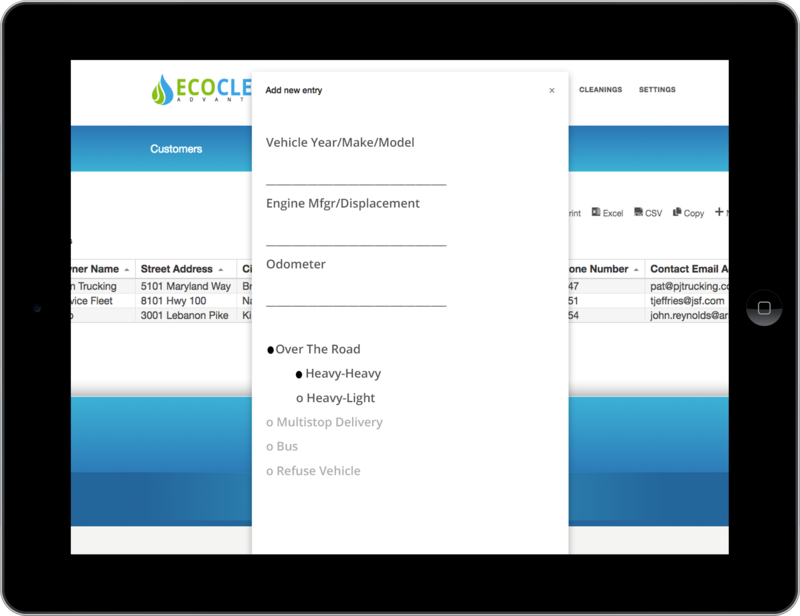 Just enter your customer’s vehicle information and maintain a log of every cleaning. Based on the type of the vehicle and the individual cleaning history, the Intelli-CleanTM system’s algorithm automatically projects when the next cleaning is due at 50% of soot loading. Sappok, A., Kemp, C., Dinou, I., Munnis, S., Wong, V., “Key Parameters Affecting DPF Performance Degradation and Impact on Lifetime Fuel Economy” US DOE, DEER 2011, Technical Paper October 4, 2011.